The FT-6229C carbon fiber ProMax Tripod from Field Optics Research is a lightweight support, weighing only 2.9 lb, that can hold optics weighing up to 35 lb. 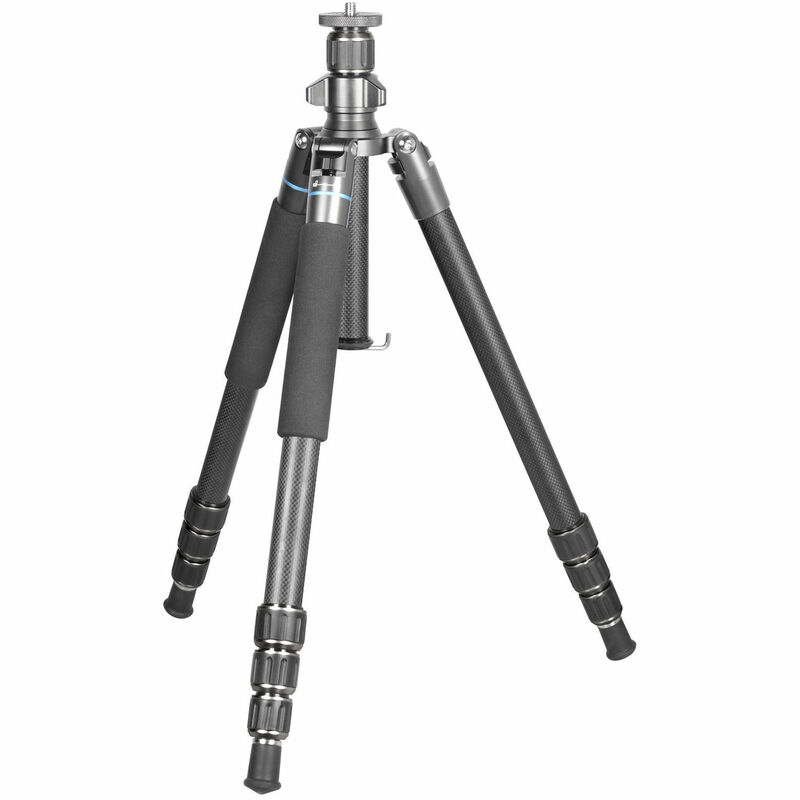 Its four-part telescoping legs with twist locks can extend up to 62.7" tall and shrink to just 9.5" short. The tripod is also portable, measuring only 17.9" tall when folded. Its center column is reversible and comes with an attached ballast hook for additional stability. Additionally, two legs are detachable and can be used as walking sticks or as monopods. Box Dimensions (LxWxH) 19.4 x 4.7 x 4.5"
ProMax FT-6229C Carbon Fiber Tripod is rated 4.0 out of 5 by 2. Rated 3 out of 5 by Patrick from Mixed bag (mostly very good) For the most part, an enjoyable tripod to carry and use. The tactile feedback of the twist locks is very nice, but also a reason I am marking this down. The feedback is slightly out, so the point where you feel the click is not the same point that the leg is unlocked/locked. On one of the legs this is a good half-turn out of place. So I can twist two legs, feel the feedback, and know the leg is ready to extend. On the third I can twist until that same point, feel the feedback, and then have to half turn again to actually unlock the leg. Apart from that though, it is a very likable tripod at a very good price for what it is. Rated 5 out of 5 by James from good quality I was looking for a light weight tripod to fill in for my Manfrotto 3021. This should work for what I need and the price is right.